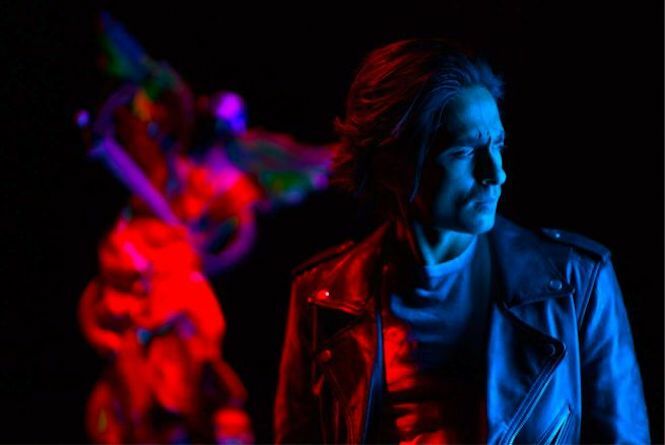 We had spoken with producer Adi Shankar in the past about Castlevania, and the kind of devotion that he puts into efforts such as that, along with his producing work on Dredd, his Punisher short-film Dirty Laundry (featuring Thomas Jane!) and Power/Rangers, the mature-oriented series loosely based on Saban’s franchise. But now we were able to chat with him again, talking about the effects of seeing Castlevania on Netflix, as well as what’s next for the series. 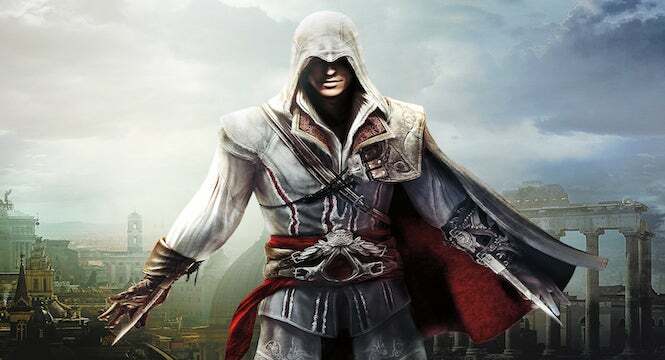 For good measure, we also talked a little bit about Assassin’s Creed, since he was recently announced as the showrunner for Ubisoft’s upcoming animated series, asking about the potential tone of the series, as well as what he may have planned. There’s a lot to cover here, so let’s jump into our latest interview with Adi Shankar on the eve of San Diego Comic-Con! 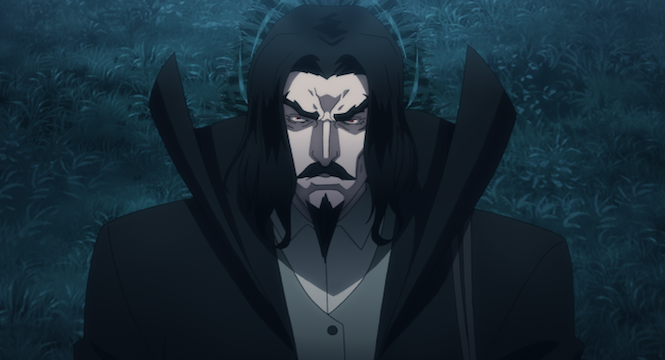 First off, Adi, congrats on the release of Castlevania on Netflix! How has the reception to the series been so far, you think? Overwhelming, humbling, gratifying, and the kind of response that makes you want to get back to work to deliver something even better for the fans for Season 2. The first season only lasted four episodes, so we have to ask. Was there anything you weren't able to do with it that you are hoping to accomplish with the second? Maybe more establishment with Alucard? No, the first season lays the foundation for the specific story we had in mind for Season 2. Is the whole team returning for the second season, including Warren and Frederator? Yes. We are like family. What would you say was the biggest challenge in getting this series made? The animation style, or something else? The fact that the show is “animation for adults” was a challenge. Animation in the West has not been seen as an art form and is still largely seen as children’s entertainment. The explanation is simple; so much of the media landscape here for decades had been built around a “movie star system.” That star system routinely fed actor’s faces to the consumer magazine system which in turn enabled advertisers to sell fear and toothpaste to consumers who had been made susceptible to suggestion because the movie star system had deluded them into believing that these “stars” were somehow simultaneously “larger than life” and credible 3rd party endorsements. 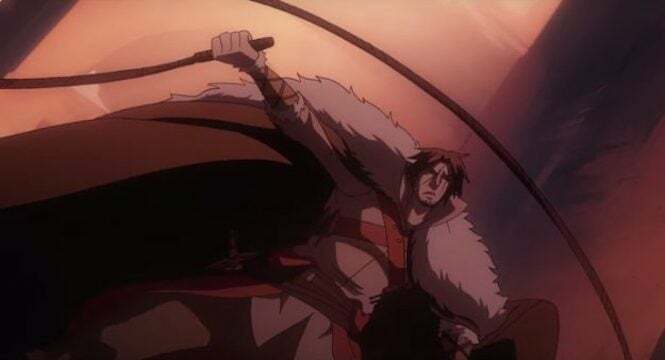 An animated Trevor Belmont isn’t an ideal spokes person for Colgate toothpaste and Sypha isn’t going to become the temporary face of Revlon. The internet at first pulled the curtain back on and then decimated the star system, and for the first time in modern human history the audience is free to consume without qualitative indicators controlled by a corporate agenda. This chain of events created a scenario where making an animated show for adults was possible. Slide 3/5 – Castlevania's Challenges Con't. We also faced challenges within the world of animation as this show was the first in a very long time to use true 2D hand drawn animation, an art form that was on the brink of extinction. In my opinion, 2D hand drawn animation needs to make a resurgence globally and hopefully the success of Castlevania will spawn many more productions world wide. Old school hand drawn OVAs like Vampire Hunter D and Ninja Scroll have stood the test of time because hand drawn anime has infinite replay value. That said, creating something new (based on something old) and building it from the ground up is always challenging. When we started this there wasn’t a roadmap to follow to make this series. Slide 4/5 – Castlevania's Challenges Con't. Finally, on a personal note, making something authentic for the fans is always a challenge, lucky we had Netflix who is an amazing partner and who allowed us to make our vision a reality. As an example of how wrong this could have gone, I was approached in 2012 about making a live action Castlevania, by another group (to be clear, none of whom are involved in this Netflix version). I passed on that opportunity because I didn’t feel like that group wanted to make an authentic Castlevania movie and instead were making a movie titled Castlevania to leverage off the “pre-existing brand awareness” associated with the title. I was told, for example, that Trevor Belmont had to be American and that Channning Tatum was my front runner. I walked away from what would have been a lucrative deal for me financially because I was a fan, because of my personal relationship with Castlevania, and because I didn’t want to partake in the massacre my childhood. The fact that fans of Castlevania love the show was our greatest victory and the fact that the show has expanded beyond that core audience and into general pop culture has been surreal. 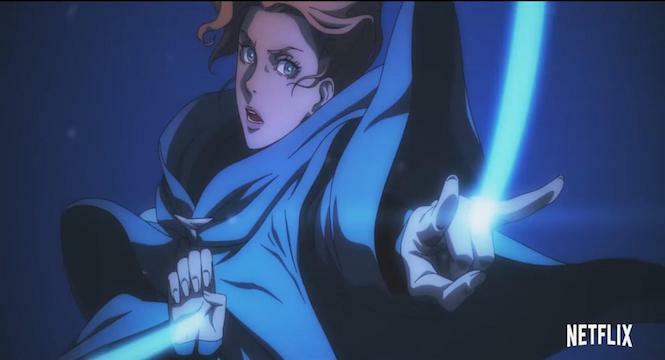 Do you think that the second season will wrap up the Castlevania series, or are there other characters you'd like to explore? Perhaps other characters in the Belmont family? The source material is very rich and covers hundreds of years of Belmont family lore. Congrats on the recent announcement regarding the Assassin's Creed series! We know you probably can't talk about it too much yet, but what kind of tone are you going for with the series? Bloody, like Castlevania? Audiences have grown accustomed to a certain tone from me. Seriously, I’ve made/been a part of thirteen projects with a similar tone. I don’t plan to deviate from that tone in the near future. How much research are you putting into the Creed series? Are you looking through the games to see which character would be best for it, or taking a more original approach? Do you think you might take any cues from last year's film, or the upcoming Origins? Without getting into spoiler territory, I’ve played every single game. The research goes into the historical period in which the show is set. Thanks to Adi for taking the time to talk to us! 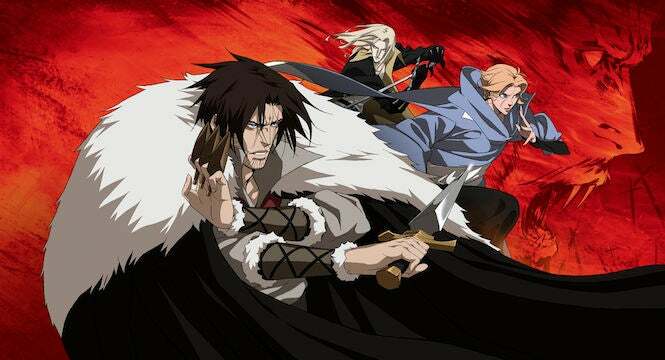 Castlevania is on Netflix now!